The AVA community and Board of Directors are pleased to welcome Hildegard Ojibway as interim Executive Director to AVA Gallery and Art Center beginning February 25, 2019. Hilde is a long-time Upper Valley resident and has been Executive Director of LISTEN Community Services and the Good Neighbor Health Clinic & Red Logan Dental Clinic. More recently, she identified a need for interim administrative services in the area and has specialized in this capacity, serving as interim Executive Director at Headrest, Good Neighbor Health Clinic, Vital Communities, and Hannah House. Hilde also served as a State Representative in the Vermont House of Representatives from 2006-2008. She is a singer/songwriter and has appeared in AVA’s Mudroom as part of the band, “Never Too Late,” and most recently as a storyteller. AVA is also pleased to welcome Bente Torjusen, who served for 30 years as AVA’s Executive Director until 2016, as Strategic Advisor in this interim period. The search for a permanent Executive Director will begin immediately. We hope you will attend the High School Show now on display in the galleries through March 8, 2019. There are exciting educational opportunities for artists of all ages and levels of experience in our new spring and summer classes and camps brochure which can be found here. Finally, please join us for our Annual Silent Auction Party on Saturday, April 6 to celebrate art in our lives and enjoy the company of other members of the AVA community. 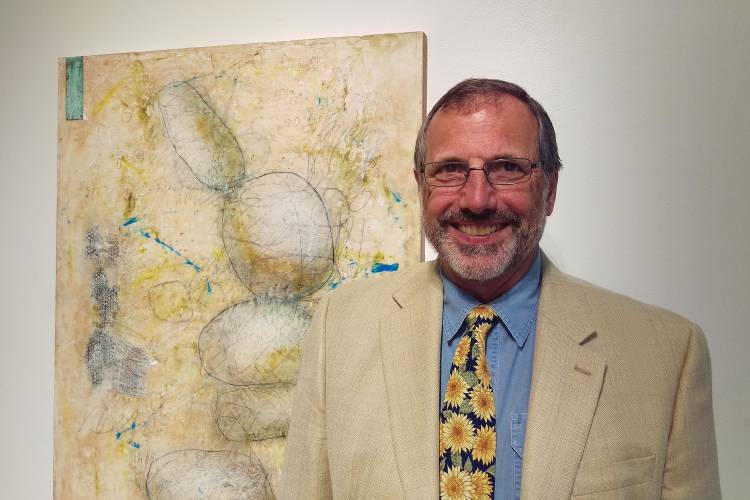 The head of AVA Gallery and Art Center has stepped down, a little more than two years after accepting the job leading the downtown arts organization. Paul N. “Trip” Anderson III, executive director of the gallery, resigned on Friday, according to Andrew Garthwaite, chairman of AVA’s board of directors. Anderson confirmed in an email on Tuesday that he resigned, and said details of the separation still are being worked out. “We’ve been very appreciative of what he’s been able to do for our campus,” Garthwaite said, praising Anderson’s efforts to grow AVA’s offerings and expand public art in Lebanon. 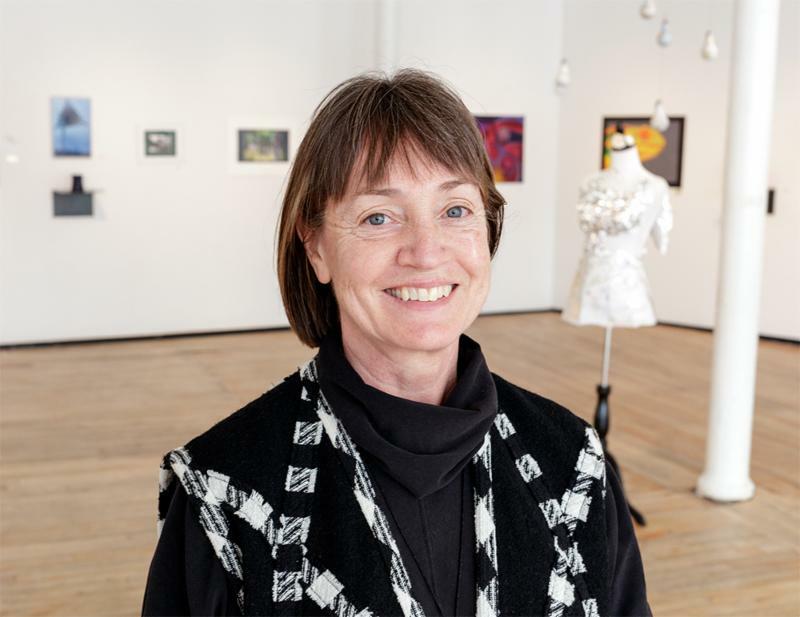 Anderson took the executive director job in November 2016, succeeding Bente Torjusen, who retired after a 30-year tenure that saw the gallery expand into a cultural institution located in the former H.W. Carter & Sons building, a former clothing factory on Bank Street. “He came on at a time when there was a lot of expansion,” former AVA board Chairwoman Sloane Mayor said. One of Anderson’s first accomplishments was the June 2017 opening of the 4,000-square-foot Bente Torjusen West Sculptural Studies Building, which nearly doubled the gallery’s capacity for classes and outreach efforts. “He also brought an incredible strength to the organization in terms of (implementing) structure and systems to support everything that we were doing,” Mayor said. City leaders also complimented Anderson’s efforts to collaborate to improve Lebanon’s arts scene. Anderson held meetings with leaders of the nearby Lebanon Opera House and the Upper Valley Music Center, which ultimately led to the creation of a city task force that studied ways to expand the public’s access to art. While Anderson didn’t sit on the task force, he did regularly attend meetings to share expertise learned from his past work creating the Salisbury Cultural District in Worcester, Mass., according to City Councilor Karen Zook. Anderson recently had applied to join a permanent arts commission in Lebanon, as well, she said. “He has valuable experience, and it would have been great to have his experience on the commission going forward,” Zook said. Paul Coats, Lebanon’s director of recreation and parks, said Anderson also was instrumental in projects that added art to the Mascoma River Greenway and partnered with the city to install exhibits at Colburn Park. “We wouldn’t have had the success we had with (those efforts) had it not been for Trip,” he said. Garthwaite, AVA’s board chairman, said the gallery hopes to soon announce an interim director before beginning the search for Anderson’s permanent successor. Until then, operations at the gallery are proceeding normally, he said. Tim Camerato can be reached at tcamerato@vnews.com or 603-727-3223. 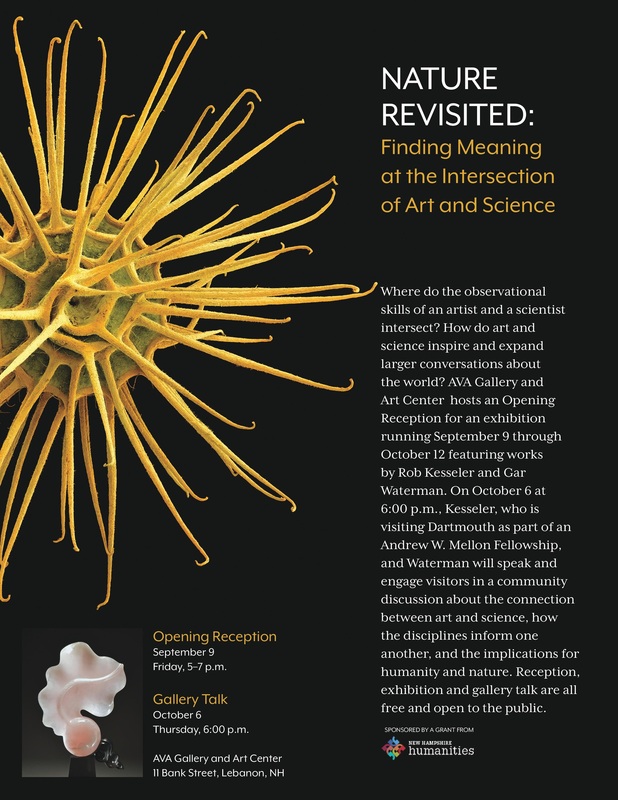 At 6pm on October 6, 2016, Gar Waterman and Rob Kesseler will give a gallery talk titled, Nature Revisioned: Finding Meaning at the Intersection of Art and Science, supported in part by a grant from New Hampshire Humanities. Please click here to read the press release about the program and the supporting New Hampshire Humanities grant. Click here to donate to AVA as part of the NH Gives campaign on June 7. What is NH Gives Day? NH Gives Day is a 24-hour online fundraising campaign, designed to raise awareness about how essential nonprofits are to our quality of life and to highlight the generous spirit of the citizens of our state. Our goal is to unite people around the causes they care about and help nonprofits connect to the larger community. On June 7, New Hampshire’s nonprofit sector will come together to celebrate our impact and amplify the generosity of our community, and we would love for you to be a part of it. NH Gives Day is brought to you thanks to the generous sponsorship of the NH Charitable Foundation, St. Mary’s Bank, Grappone Automotive Group, the New Hampshire Union Leader, and Heartwood Media, and with support from NH Businesses for Social Responsibility, the Granite, Monadnock, Greater Nashua, Greater Seacoast, and Sullivan County United Ways. Our 2016 Silent Auction Exhibition looks fantastic. The display features donations of artworks as well as essential goods and services from local businesses. 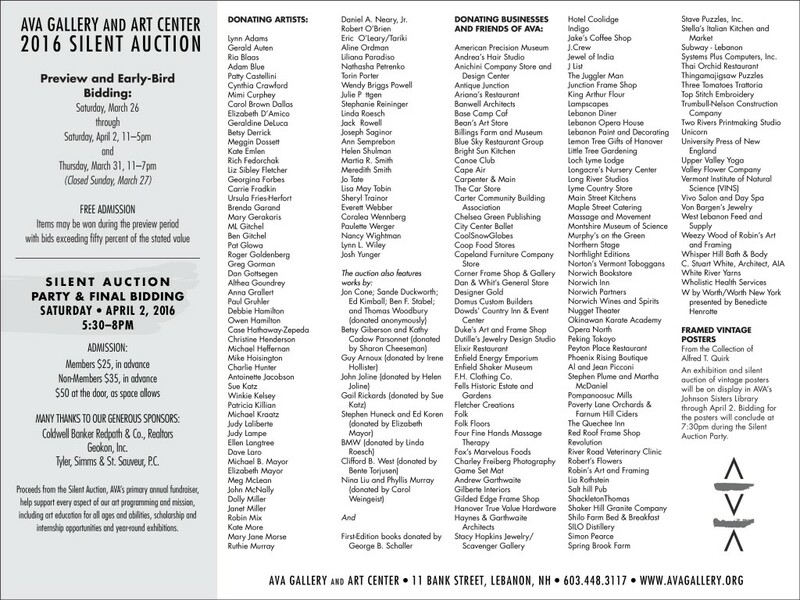 Click here to see the entire suite of donors and then come see the show to place your bids! Click here to purchase your tickets to the Silent Auction Party and Final Bidding, Saturday, April 2, 5:30-8pm.